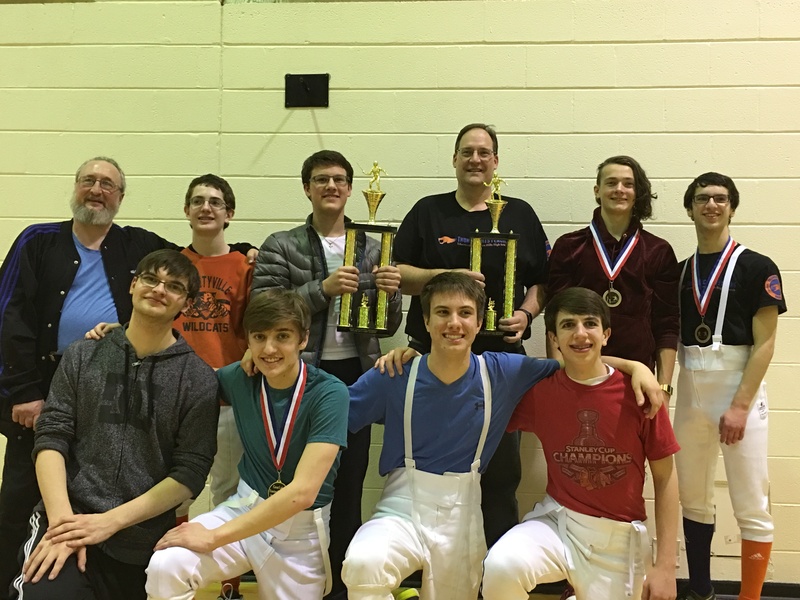 The LHS-VHHS fencing team won the Conference Championship in Men’s Epee and Men’s Saber at New Trier High School yesterday. We defeated thirteen teams from WI, IN and IL. This is in addition to winning the Varsity Dual Meet Championship and the Illinois State Championship over the last few weeks. This is an incredible accomplishment for a young team in only it’s third season. It is also the first time in over 20 years that a school other than Stevenson, New Trier or Culver has won the Conference Championship. Congratulations men on a championship season!